The Internet is awash in computer tuning tools – tools designed to help computer users manage, maintain, optimize, configure and troubleshoot their computer system. From freebies to shareware, to full-blown commercial products, the market is saturated with applications targeted at those who suspect that their PC is operating at less than maximum potential. That pretty well describes most of us, I should think. Those of us who are technically competent are, I suspect, comfortable using any number of free system tools readable available for download on the Internet – tools that can act as a helpmate in tweaking and maintaining computers. Now that’s very cool – if you’re a high end user. But, if you’re a “I know where the power button is” – type of user, you’ll need more than just a handful of freebie helpmate applications to assist you in tweaking and maintaining your computer. Luckily, there are tune-up applications designed specifically for average users – applications that make it easy for a typical user to achieve the same level of high performance as a techie. 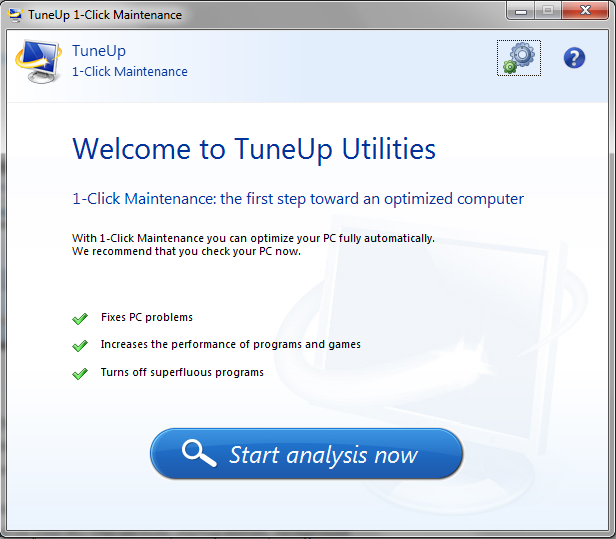 One such application, an application which can rightfully be called a “classic” in it’s class, is TuneUp Utilities 2012. 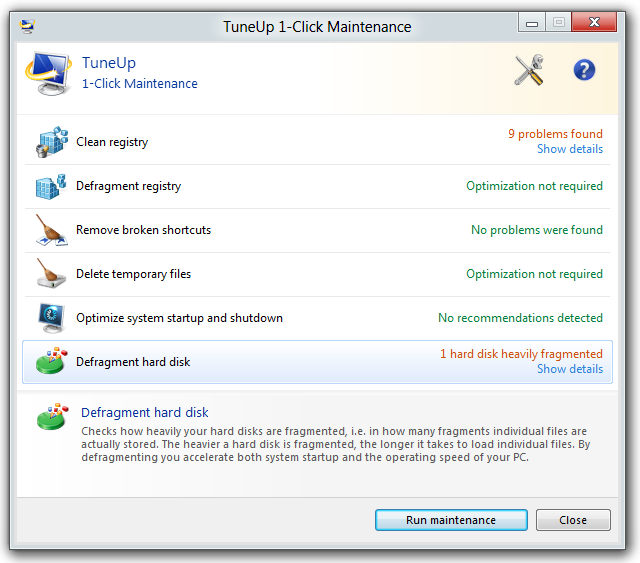 I’ve tested every released version of TuneUp Utilities going back to 1997, and I’ve come to rely on it to help me get the very best out of all my machines. Despite the fact that I’m a huge fan of free software, there are times when only a commercial application will meet all of my needs in one interface. 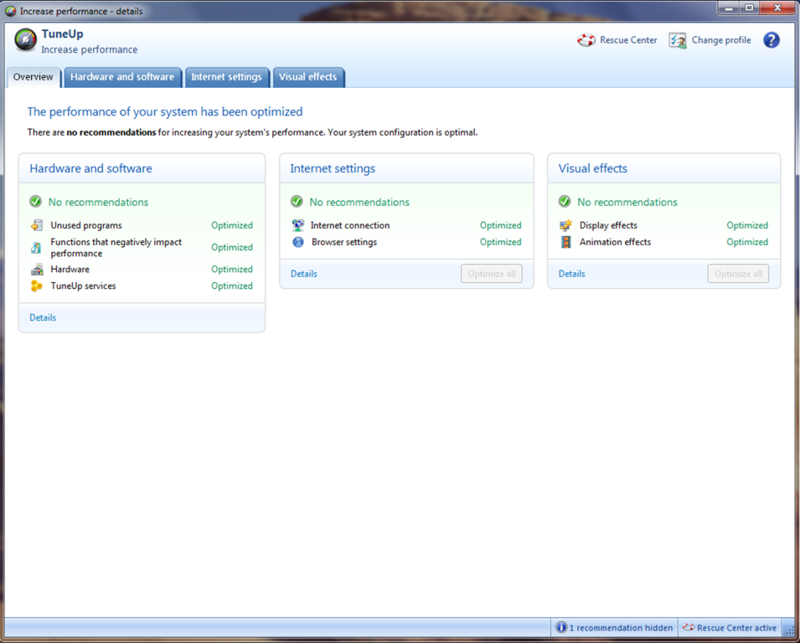 Following installation, you will have the opportunity to analyze your computer to search out issue that are negatively impacting performance. 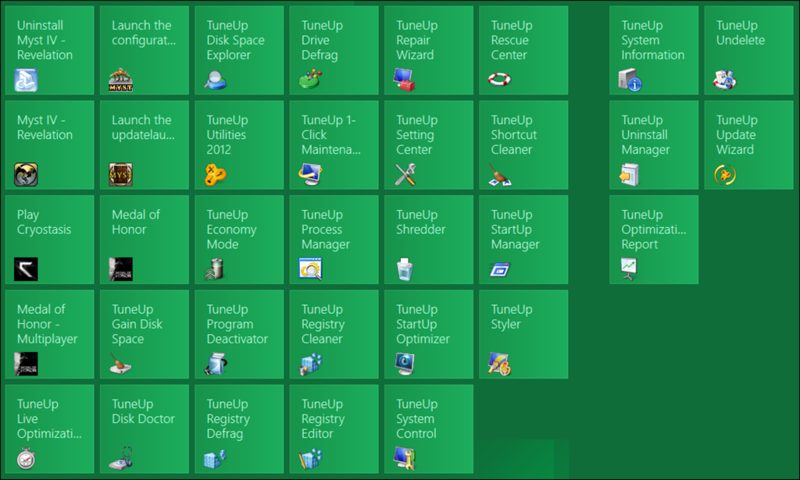 For this test, I’ve installed TuneUp Utilities 2012 in Windows 8 developer edition with it’s hilariously absurd Metro interface. 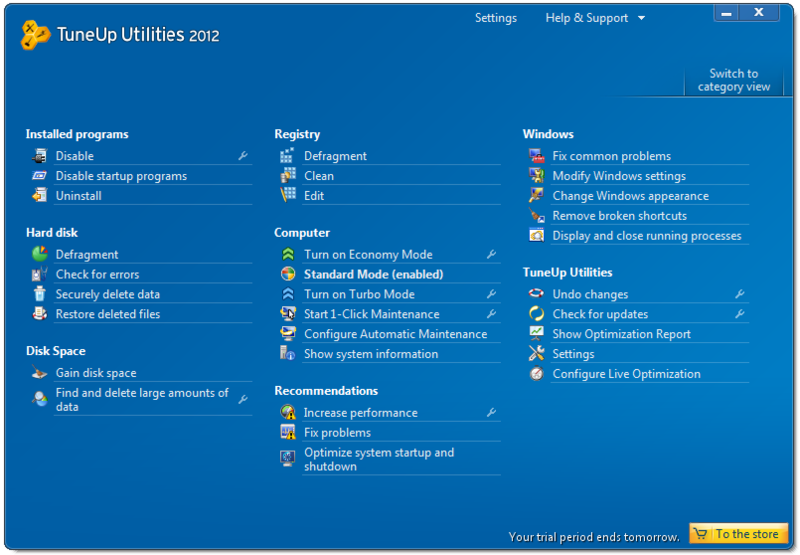 An abundance of modules, shown in the Windows 8 screen shot (above), are available to analyze and repair, maintain and improve, and configure the operating system. 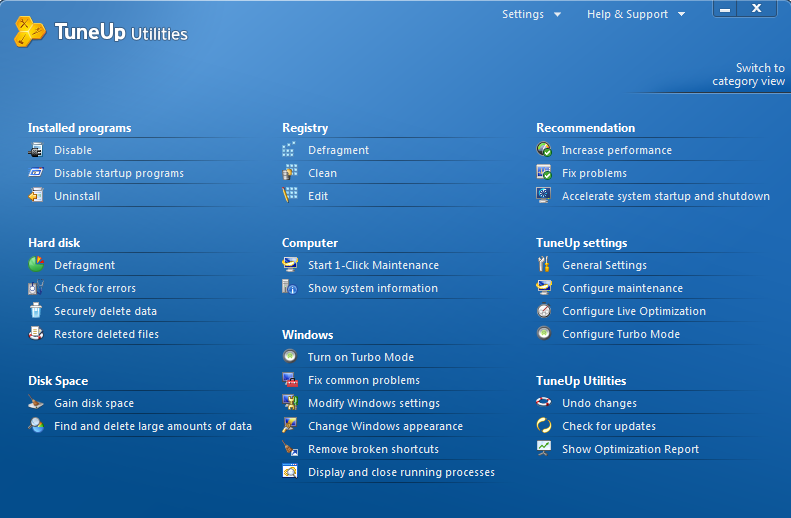 The following screen capture, in Windows 7, shows a more familiar application module layout. In step one of the test, I checked the system status and choose to allow the application to recommend improvements. Done! Virtually in the blink of an eye! 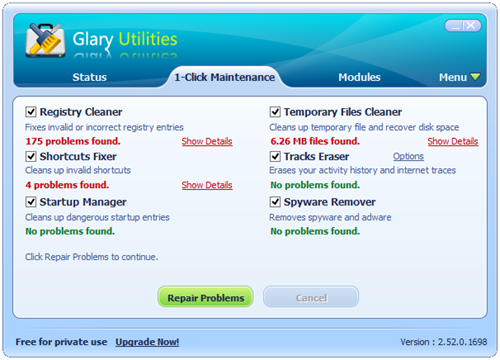 Fourteen days later, after running the 1-Click maintenance module intermittently, the following screen capture shows just a small number of issues which need to be corrected. 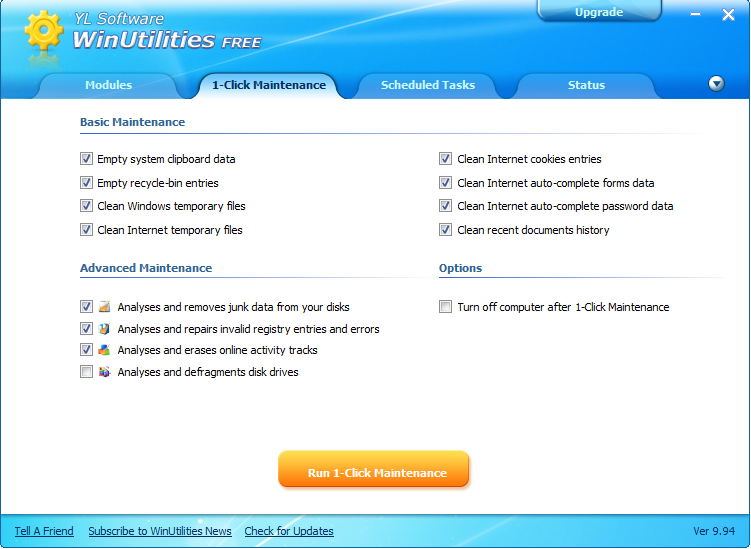 Optionally, the 1-Click maintenance module can be set to run automatically which will ensure that any issues which arise will be dealt with immediately. 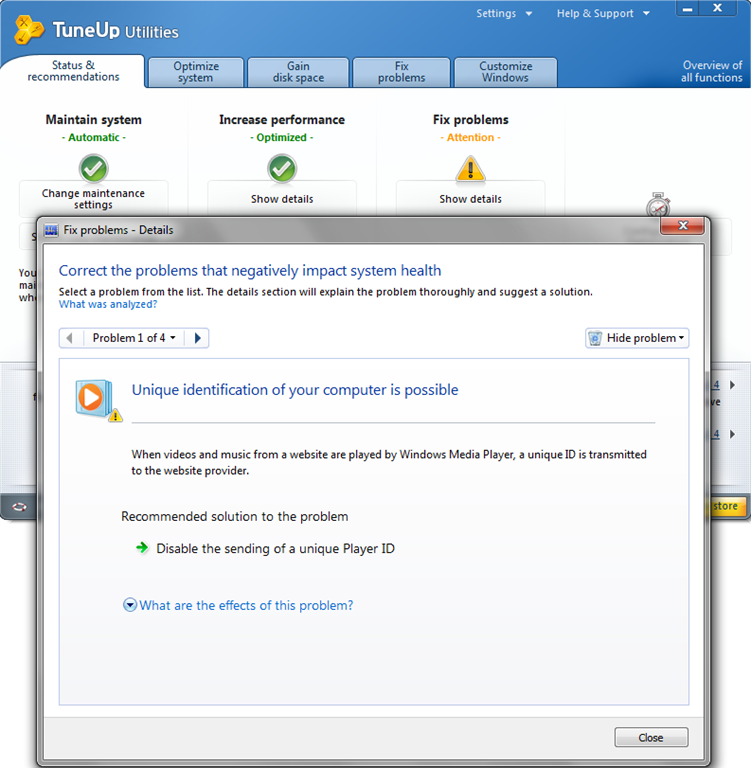 Common computer problems are a snap for TuneUp Utilities 2012 to deal with. 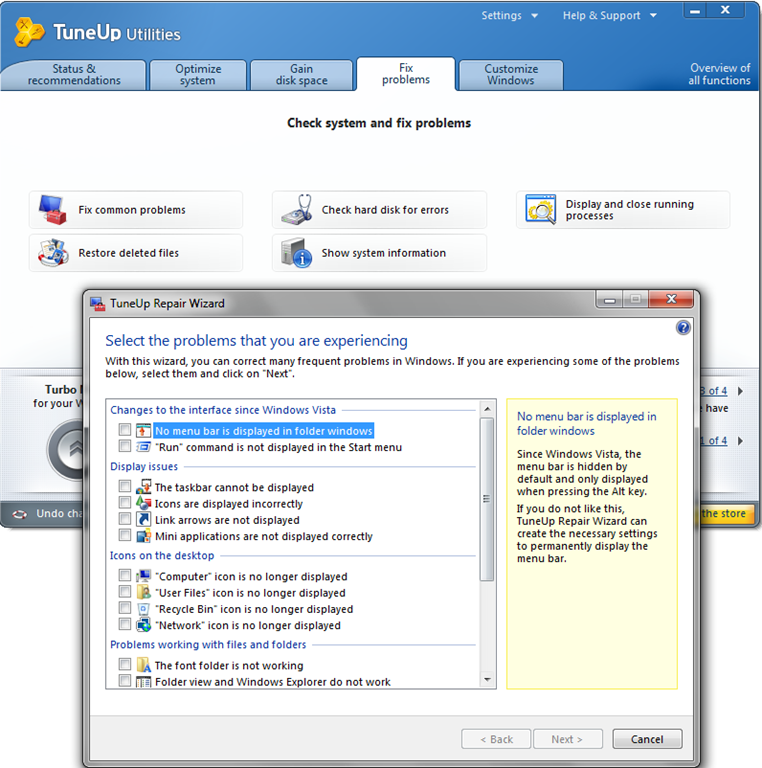 Simply select the problem in TuneUp’s Repair Wizard and in a couple of clicks, the issue is resolved. Is it worth $49.95 US for a 3 machine (many of us have more than one computer), license? In my view the answer is a definite – yes. 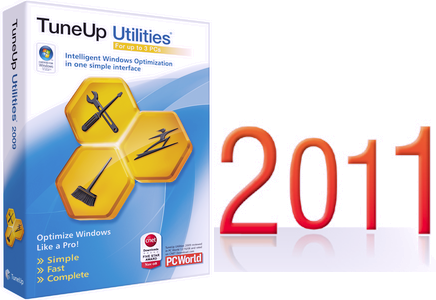 TuneUp Utilities 2012 is easier to use than ever, is overwhelmingly inclusive, and provides virtually every tool and applet, that an average computer user is ever likely to need. 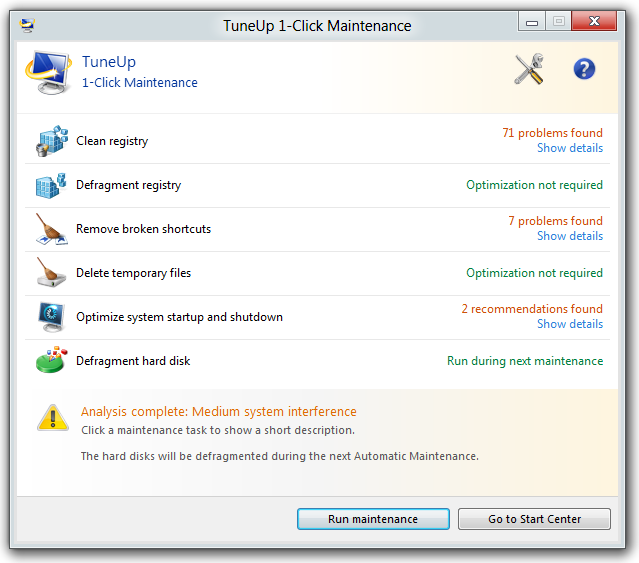 Take a free test run on TuneUp Utilities 2012 for 15 days, and see if you don’t agree that this is one commercial application that offers excellent value – $49.95 US for a 3 machine license. 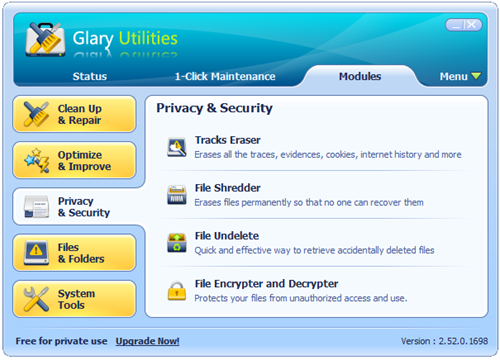 Free Glary Utilities Is Indispensable. Really? Since reviewing software (both free and commercial), is a good part of what I do as a blogger, I’ve tested and evaluated more than a thousand applications in the last few years. Sad to say, 30% or so, have turned out to be “not fit for consumption”. No, you normally don’t get to read reviews on the dreck – better to focus on what lives up to expectations, and not what doesn’t. Based on this exposure to software applications, Glarysoft’s “indispensable” statement, got me thinking – so, I put it to my personal test. First, let me point out that I get loads of free licenses for the commercial version of applications that I test. However, to avoid the disclosure/non-disclosure issue, I do not keep such software on either my home system, or my test systems. Other than the OS, all software on my home machine is freeware. But, I could have chosen to have kept on board any one of the dozen or so licensed computer maintenance utilities I’ve had access to in the last few years. Truth is, aside from the disclosure/non-disclosure issue, I’m just not into a “one click simple” computer maintenance solution. I’d rather rely on, as I do, a collection of freeware apps which are specially designed to address specific issues. 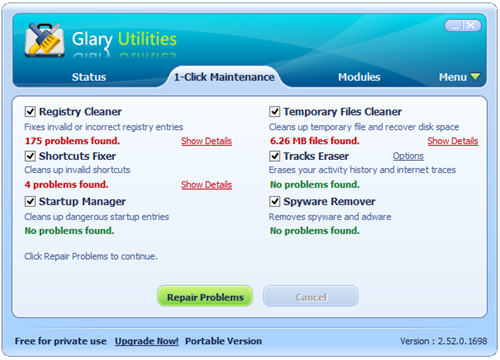 And, first among these freeware applications is Glary Utilities. So, from a personal perspective, I find little to argue with in Glarysoft’s “indispensable” claim. 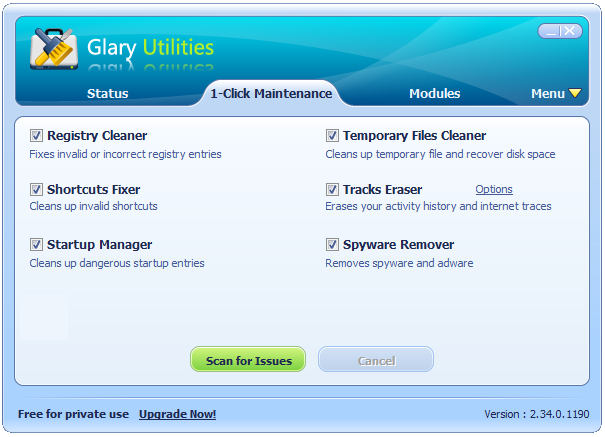 Since discovering Glary Utilities years ago, it has remained my go-to application for maintenance and cleanup. 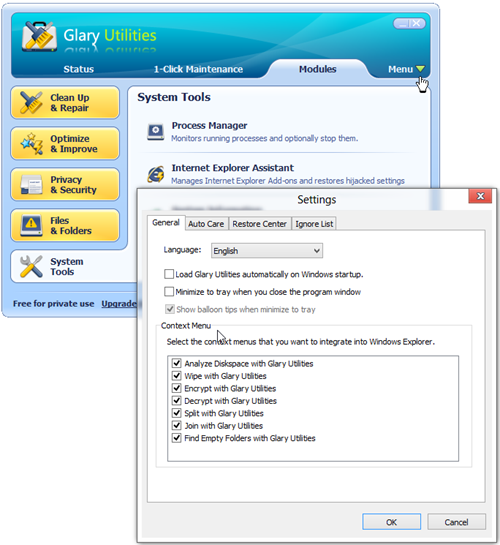 Glary Utilities, (last updated May 26, 2011 – version 2.34), is a terrific collection of system tools and utilities to fix, speed up, maintain, and protect a PC. 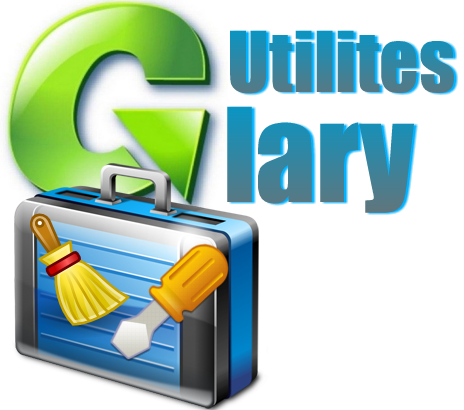 A great deal of personal experience with Glary Utilities has convinced me, that a typical user, particularly a new user, will really benefit by having this application on their system. Twenty million+ downloads from Download.com alone, speaks to the popularity of this indispensable application (last time I reviewed this app – February 11, 2010 – this figure stood at eight million). 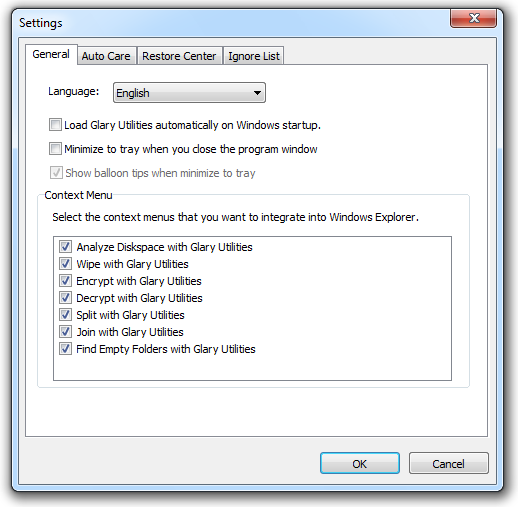 Using Glary Utilities, it’s easy to tweak, repair, optimize and improve your system’s performance; and its ease of operation makes it ideal for less experienced users. 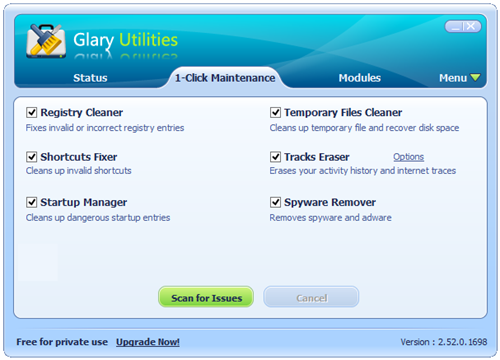 You can quickly find the tool you’re looking for: disk cleaner, uninstall manager, secure file deletion, memory optimizer, (a gentle) registry cleaner, duplicate file finder, tracks eraser, empty folder finder; a very convenient feature for those of us who like to test drive new software. 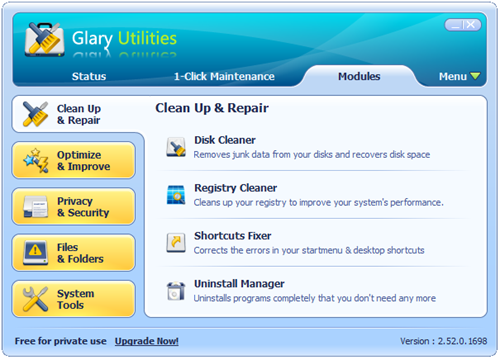 Prior to making important changes to your system, Glary Utilities creates a backup copy first, a very important feature. A quick piece of advice: never allow an application to make system changes, without creating a system restore point first. 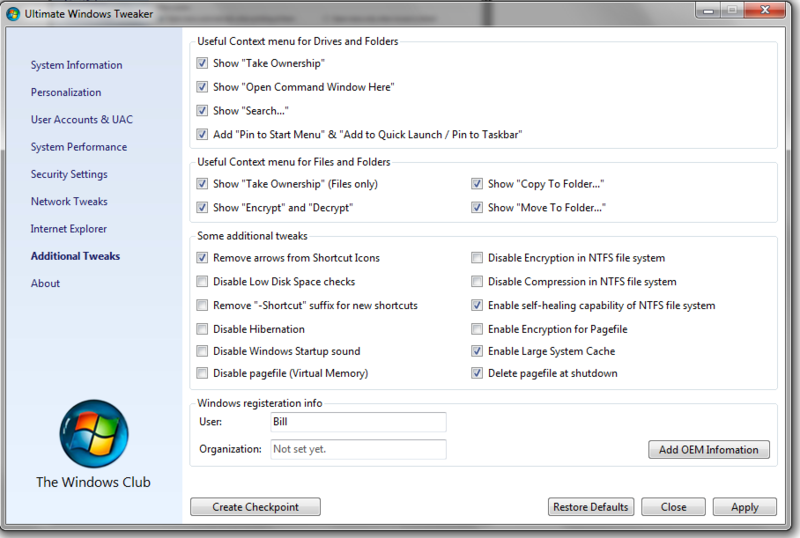 As well, you can manage and delete browser add-ons, analyze disk space usage, find, fix, or remove broken Windows shortcuts, and manage startup programs. 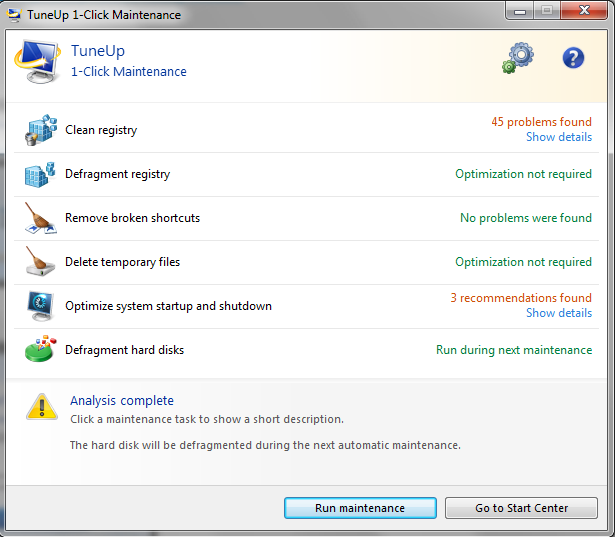 A one click maintenance solution is included, but I’m not a fan of this since I like to be much more hands on. But, less experienced users, should find this feature useful. Hands on users will appreciate the functional and easily understood GUI. 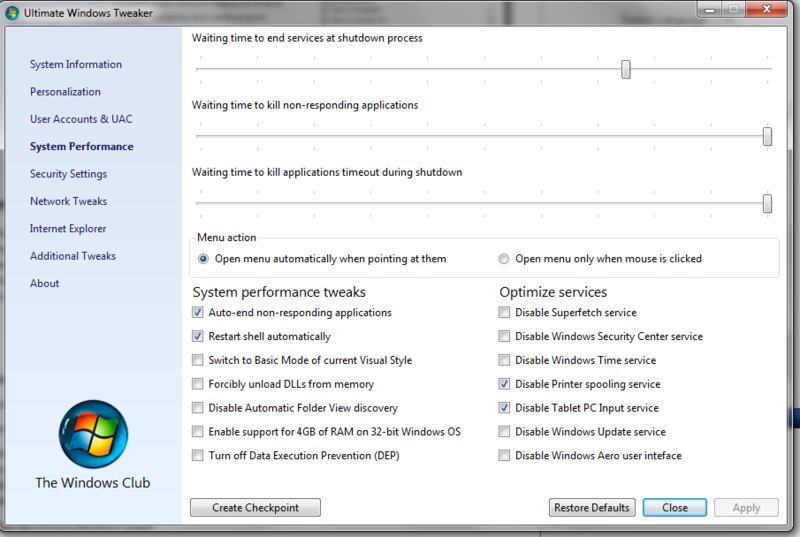 You can comfortably fine tune the application using the clear and precise Settings Menu. System Requirements: Windows 7, 2000, XP, Vista. 32/64bit versions. A portable version is also available which you can download at GlarySoft. 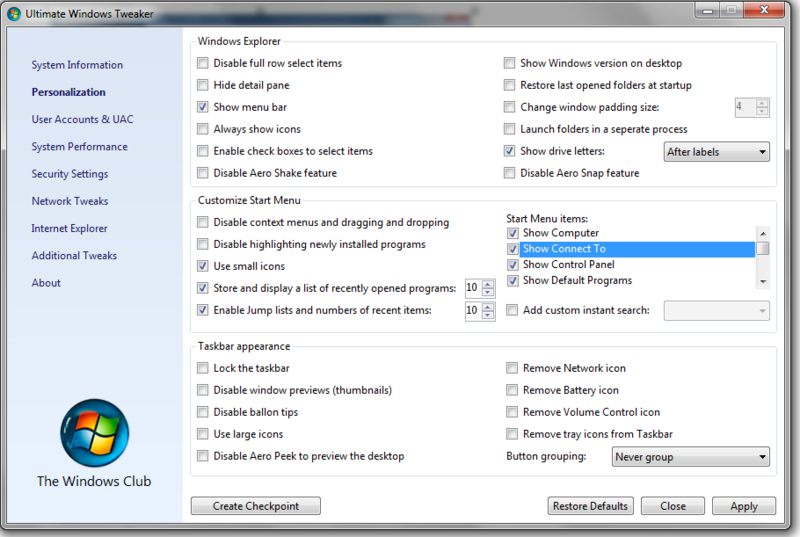 During the install, pay particular attention to the offer to install the Ask toolbar. I suggest you reject this offer. 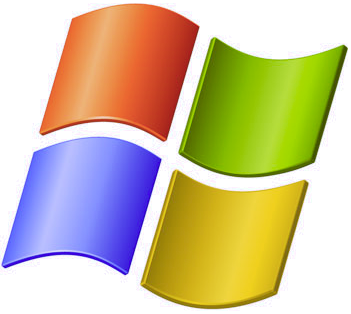 Windows is a terrific operating system – no doubt about it (although, some will argue otherwise). Windows meets most of my computing needs, as it does yours, I expect. The chances of my computing needs and your computing needs being the same however, are remote. Unfortunately, Windows doesn’t differentiate between your needs and my needs. On installation, the OS generally assumes we both have the same needs (including security needs), and configures Windows Services accordingly. Running with fewer services though, especially a service that you don’t use, or need, puts less strain on both the CPU and system memory. 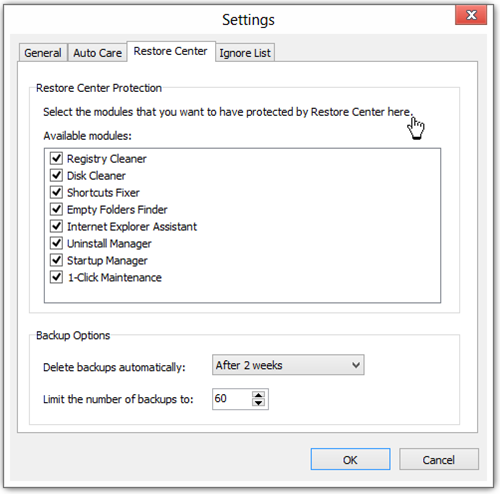 In some cases, reducing the number of running services can turn a sluggish PC around. So, if you want to get the best out of your machine, tweaking services is good practice. I don’t have a printer attached to this particular machine I’m using this morning, so I don’t need the spooler service running. I don’t run a Tablet PC so I don’t need the Tablet PC Input service running. The Fax service is disabled since I don’t use Fax. I don’t allow any remote access to this machine so any services dealing with remote access are disabled. For example – I can’t imaging allowing remote access to my registry so, “allowing remote users to change my registry settings” (on this machine), is disabled. Tweaking services however, is not without its hazards. For example, if a particular service is disabled, any other service/services that explicitly depend on it will fail to start. 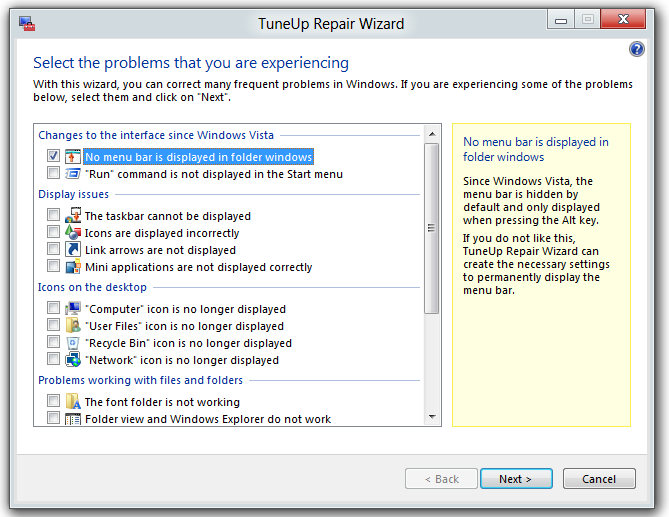 Adjusting a service setting incorrectly, has the potential to leave a computer in an unbootable condition. I know – I’ve managed to do just that, a time or two, over the years. Recently, an open source (free), application that promises to allow a user to tweak Windows services in a safe and easy way, caught my attention. 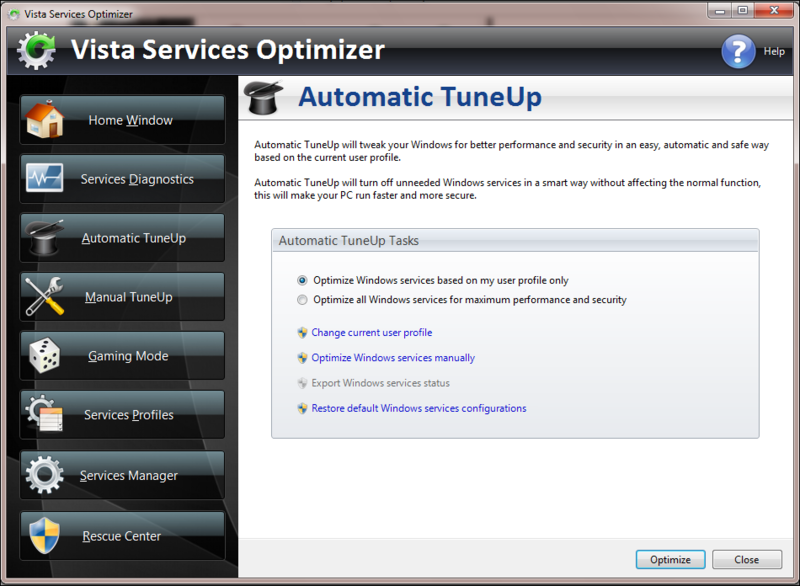 Vista Services Optimizer, a Windows tweaking utility, which despite its name, has been optimized to run in Windows 7 as well, makes good on this promise. 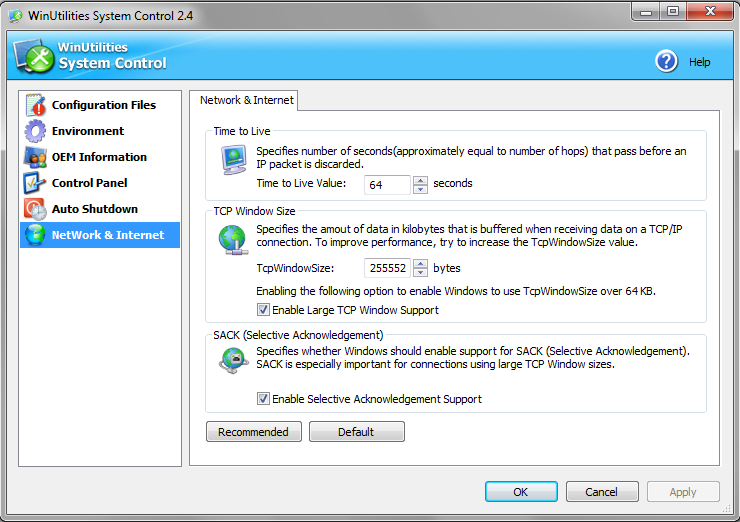 Even a casual user, with a few mouse clicks, can easily optimize Windows services to increase performance and security, automatically. A more experienced user gets a little more leeway, and can manually tweak using a more in-depth feature list. 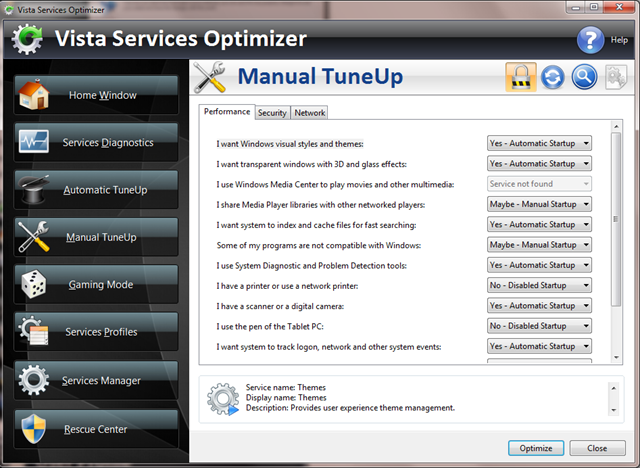 Very experienced users can tweak to their heart’s content, with the built-in Services Manager. Here’s an example – I recently made some changes to the playlist on my IPod, which meant running ITunes; a bloated, cannibalistic piece of crapware that eats resources through various (usually unwanted), added services. Adjusting these parasitic services was a snap using Services Manager. 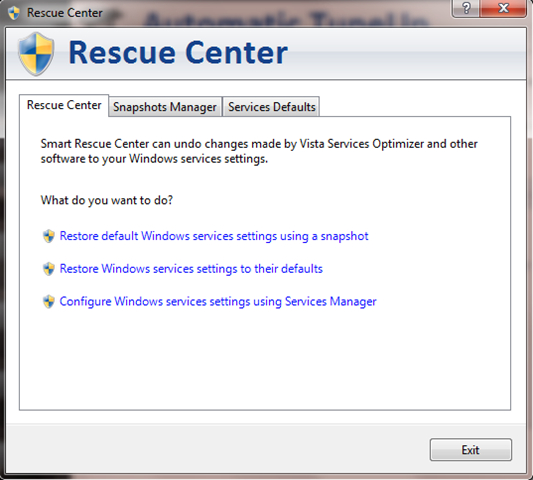 In case your tweaking goes a step too far, recovery is just a mouse click away by simply using the built-in Smart Rescue Center. 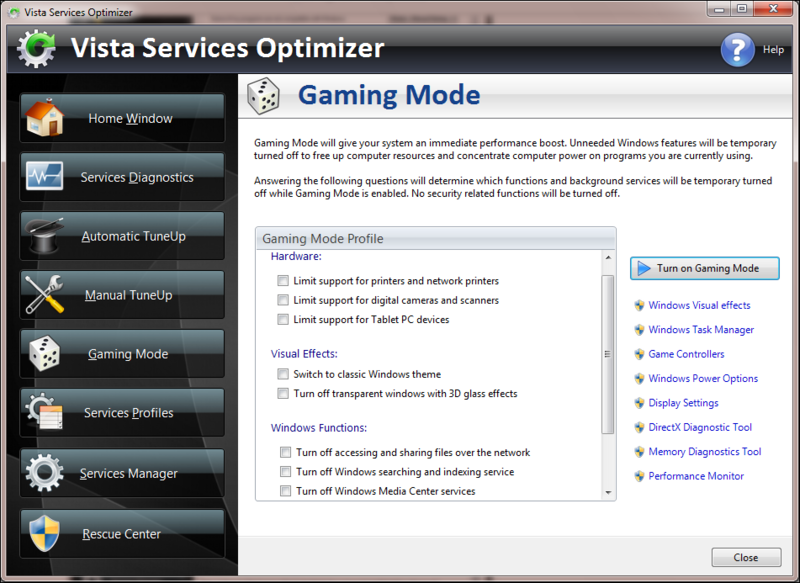 Since many games are processor, system memory, and graphic intensive, setting up Gaming Mode will give your system an immediate performance boost when needed. Keep in mind that the best solution to improved gaming (all other components being up to the task), is the installation of a high-end graphic card. 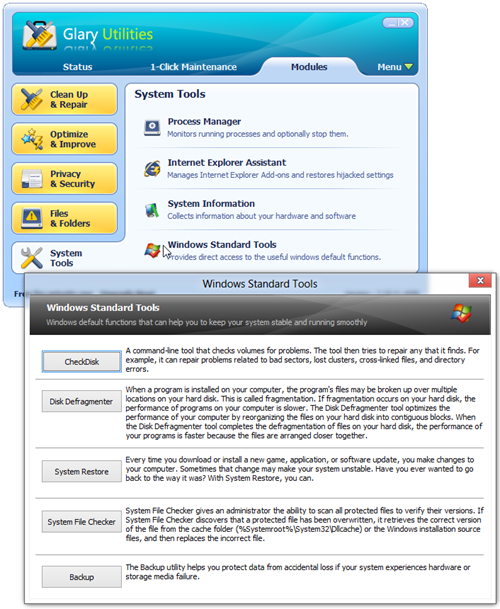 Additionally, this module can be used to temporarily turn off unneeded Windows features, and free up computer resources, when running applications that benefit from a “lean” system profile – e.g., Photoshop. 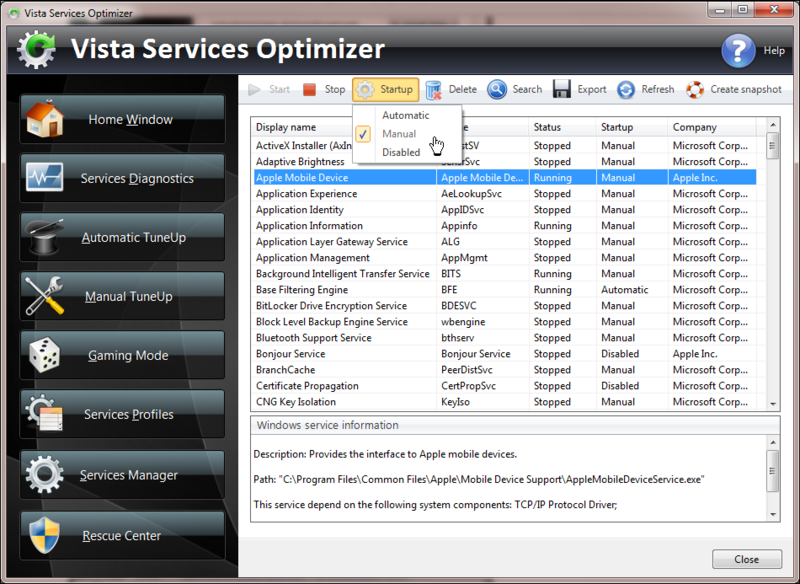 I don’t think it could be any easier to tweak Windows services than this. 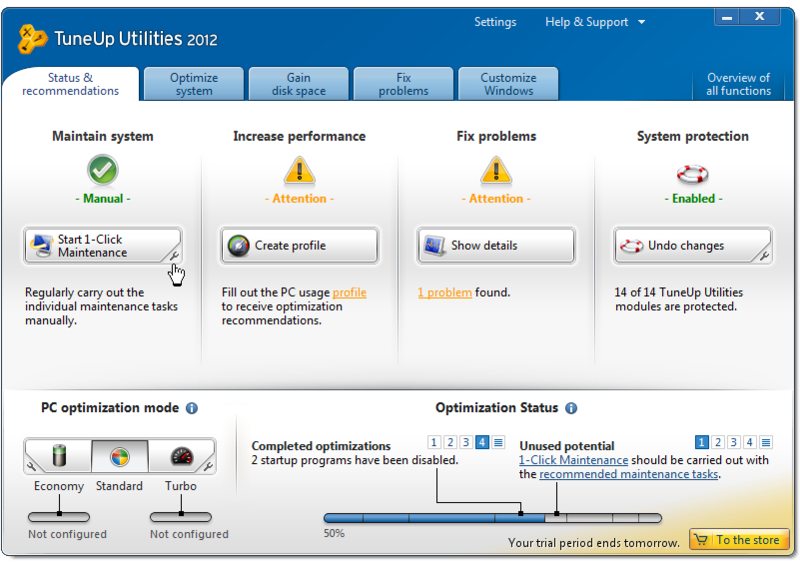 All the user needs to do is tick the appropriate check boxes, and the Services Optimizer takes care of the rest. For those who need a portable version, you’re in luck – a portable version is available. However, Microsoft .NET Framework 3.5 with Service Pack 1, must be resident on the host machine. 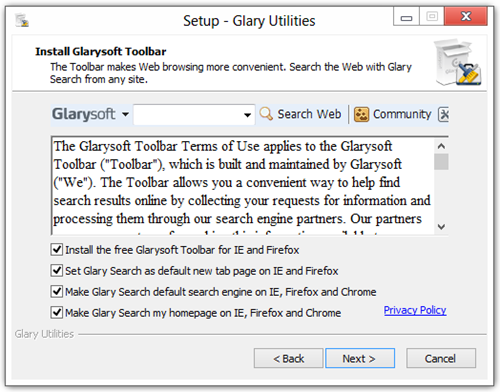 Note: During the install, you will have the option of installing a toolbar – don’t! 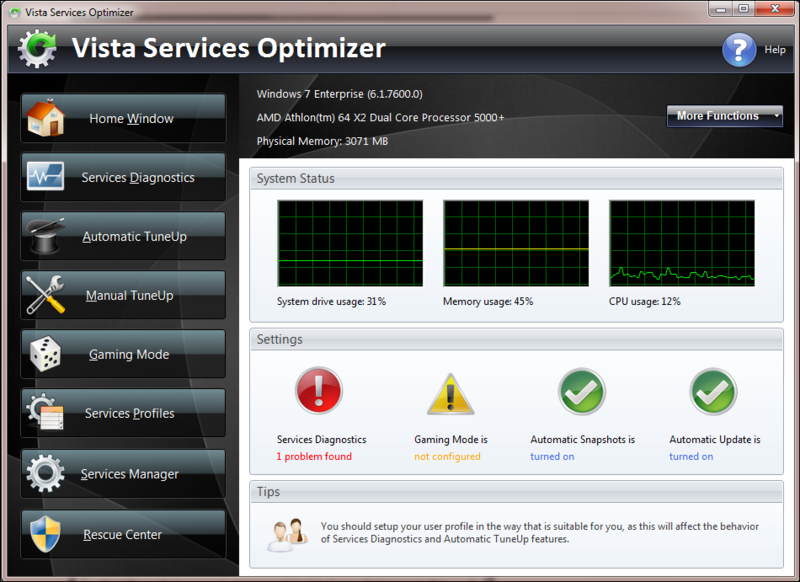 XP users – Optimizer XP 3.5 is available for download at Softpedia. I have not tested this application. If you’re a real “hands-on” techie, then visit Charles “Black Viper” Sparks Website, (the best tweaking site on the Internet), where you’ll find complete explanations of each service, and advice on which services you can safely disable – plus, a lot more. 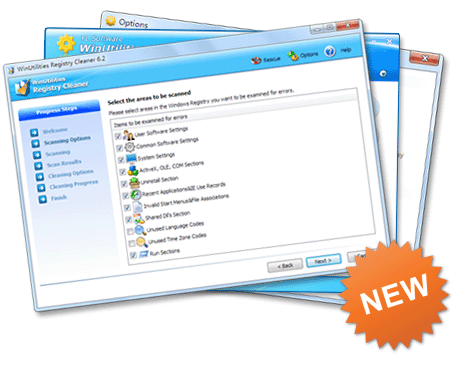 Using WinUtilities free edition (last updated November 30, 2010), you can tweak, repair, optimize and improve your system’s performance; and, its ease of operation makes it ideal for less experienced users. 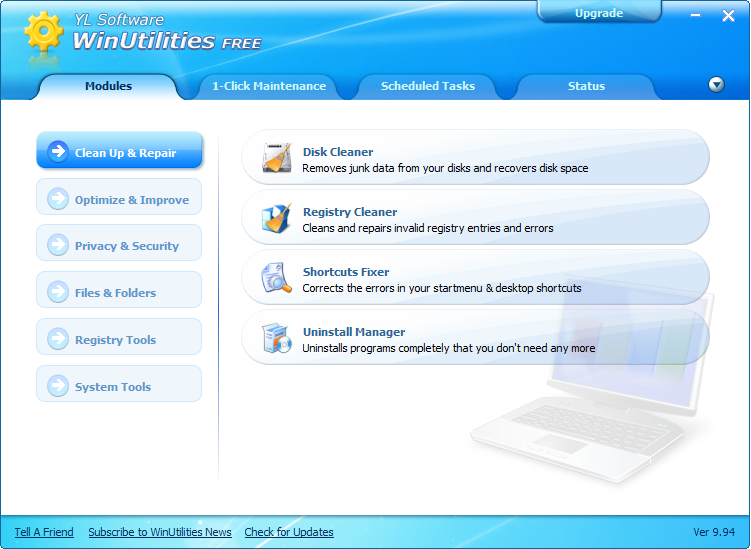 With more than 20 system utilities built into this all-in-one application, WinUtilities takes convenience to a new level. The intuitive GUI makes it a simple process finding the tool you’re looking for. Or, you can make it easy on yourself; skip the single tool usage, and employ the one click maintenance solution. 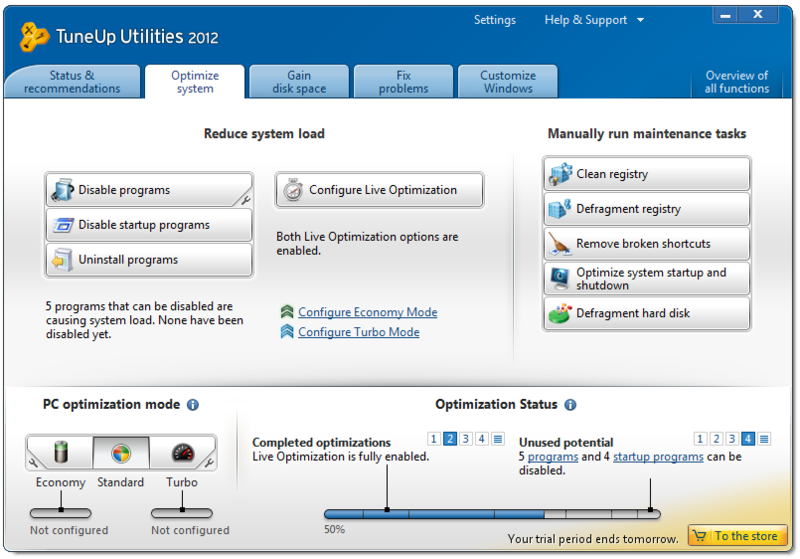 If you’re more of a laid back user, then use the built in task scheduler to perform routine maintenance automatically. Registry Search: Searchs the Windows Registry by a specific wildcard. then you can delete or export them. Auto Shutdown: Schedules your computer for log off, stand by, hibernate, or shutdown at a specific time. 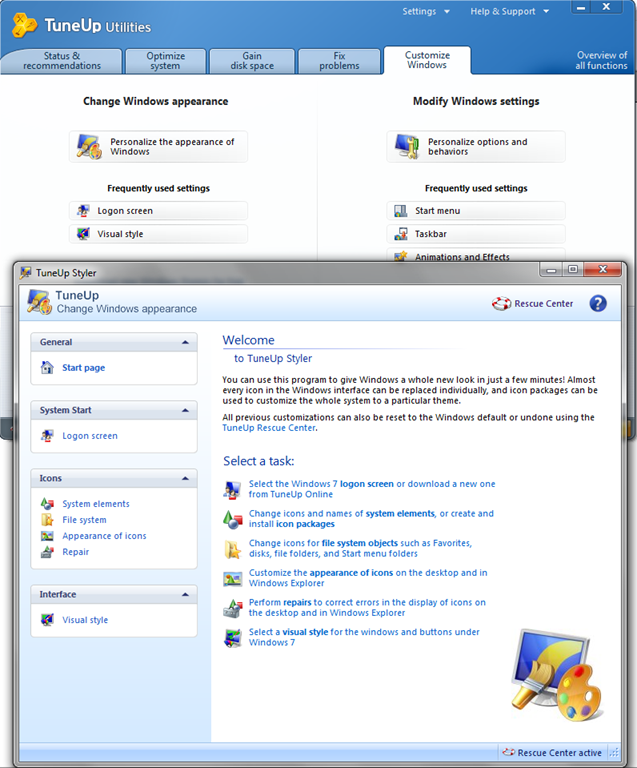 As you can see from the Fast Facts, WinUtilities is an extremely inclusive and powerful utility. In a short review like this it’s not possible to discuss all of the features of this application so, to give you some idea of what can be accomplished running this application, here’s a few screen shot examples. Clicking on any screen capture will expand it to its original size. 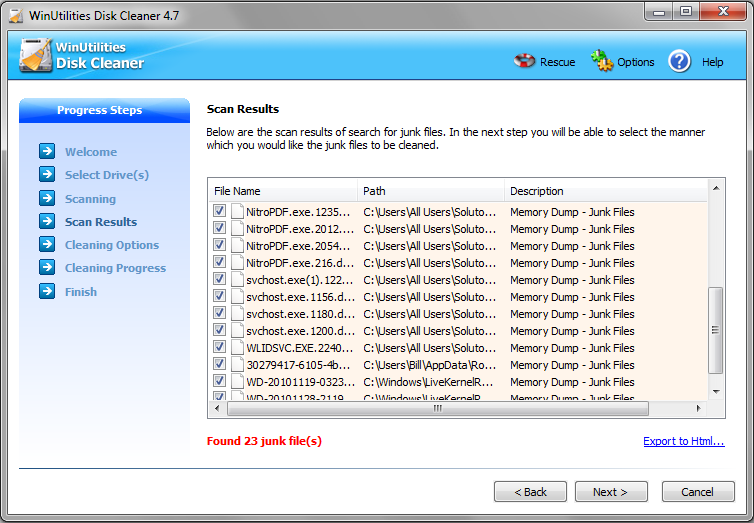 found 23 additional junk files not cleaned by CCleaner, which I ran just before testing WinUtilities clean up capabilities. 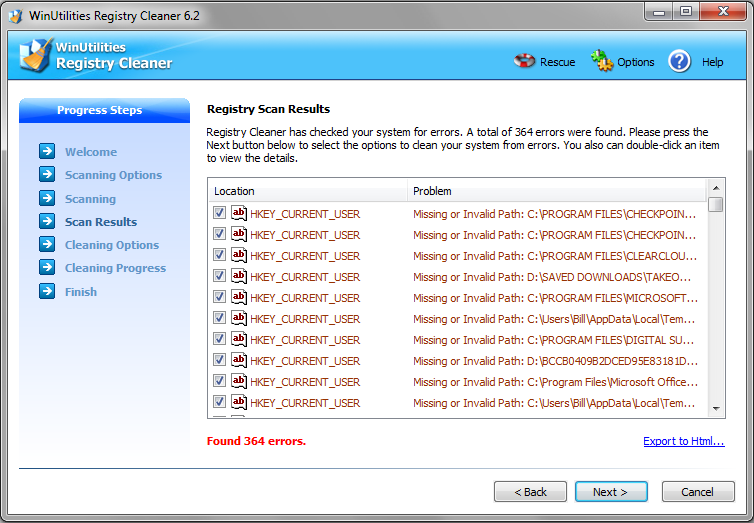 Running the Registry Cleaner produced the following – 364 errors not found by CCleaner. 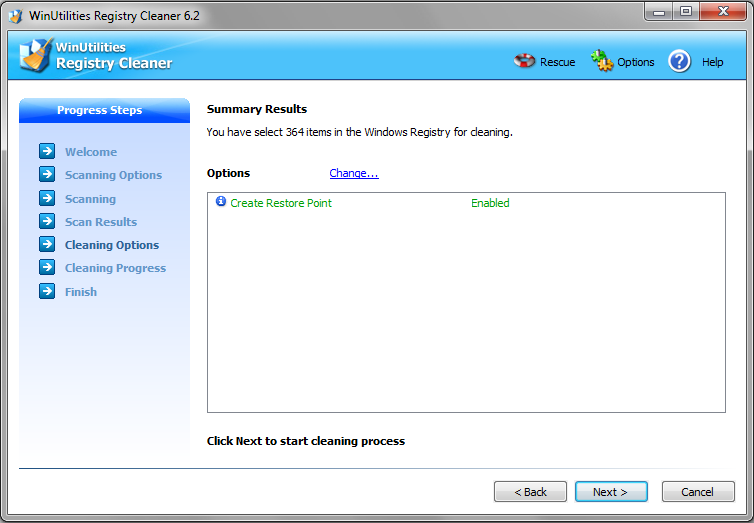 Because I’m a “just in case” kind of guy, I created a restore point automatically before executing the “clean” command. One of the built-in tools, found under the application’s Privacy and Security tab, provides a security rating on both running processes and services. This tool is a real bonus for security conscious users. 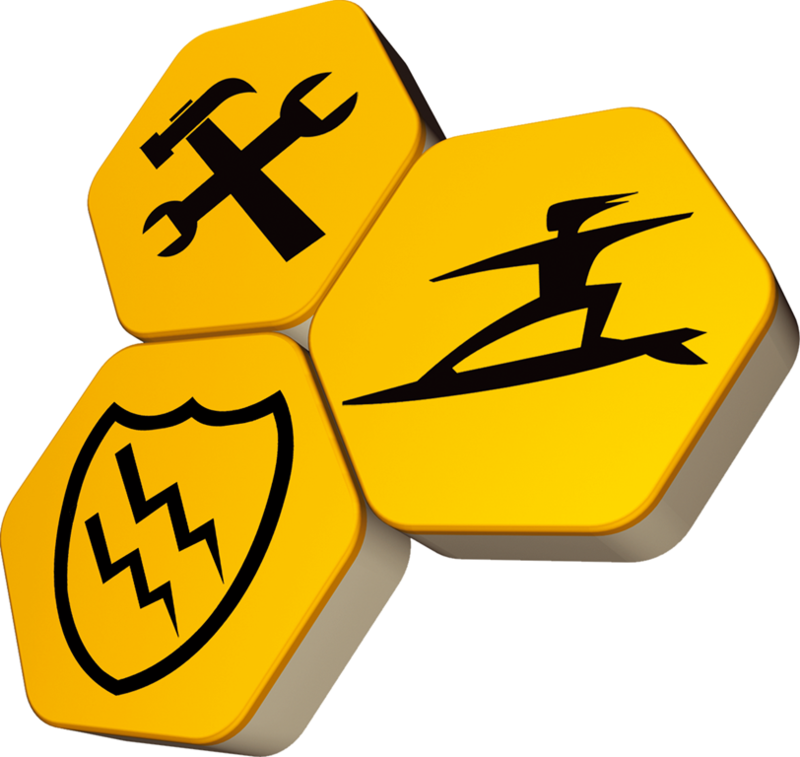 A sub categories found under the application’s System Tools tab, System Control, will allow you to fine tune a number of system areas that are difficult to locate – especially for average users. System requirements: Windows 7, 2000, XP, Vista, 2003 Server. 32/64bit versions. Note: It seems as if ALL free applications now include the option to install the Ask Toolbar, as well as other Ask services, so pay particular attention to the End User License screen when installing this application. 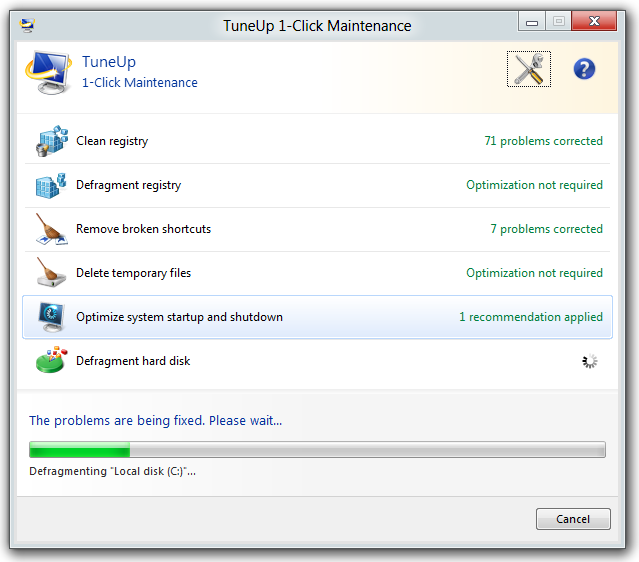 If you’re looking for a free Windows maintenance solution that’s very easy to use, I think you’d be hard pressed to find an application that would outperform WinUtilities free edition. 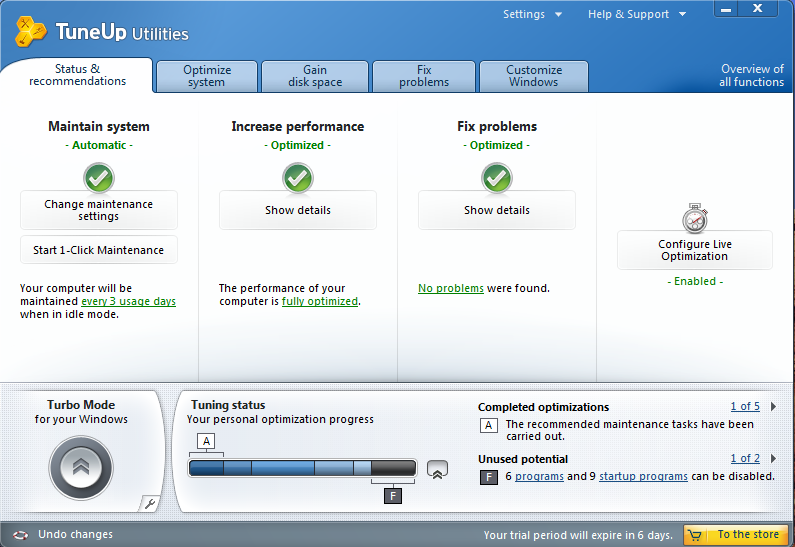 If, on the other hand, you’re looking for an even more inclusive fee based solution then TuneUp Utilities 2011 is the application you need. Currently, we’re running a free license giveaway contest here. 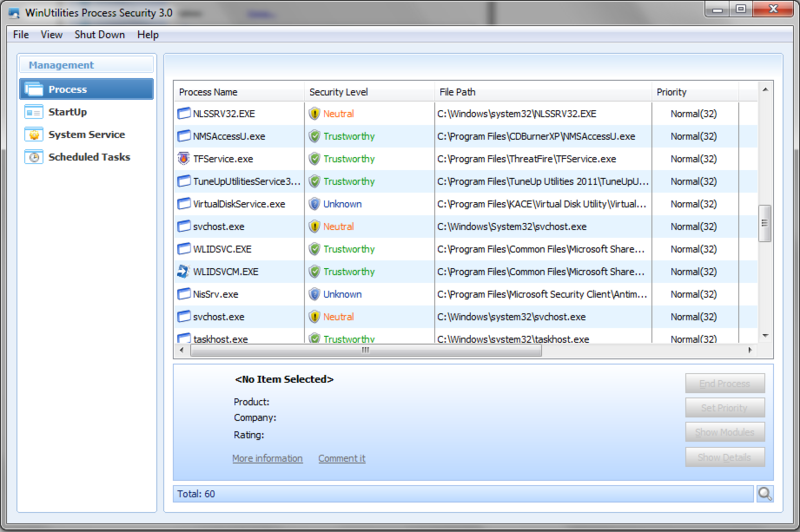 Checkout – TuneUp Utilities 2011 – Five License Giveaway! and get your entry in.